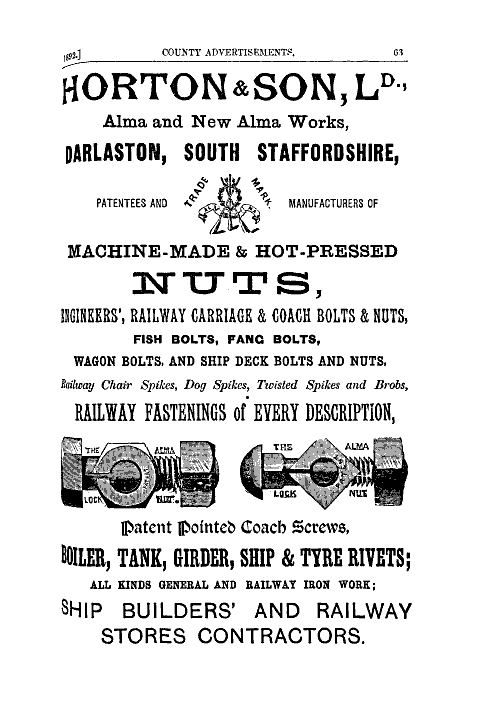 1870 the first portion of the Alma Works was erected; the New Britannia Works, which were adjoining, were subsequently added. By 1905 Employed more than 600. 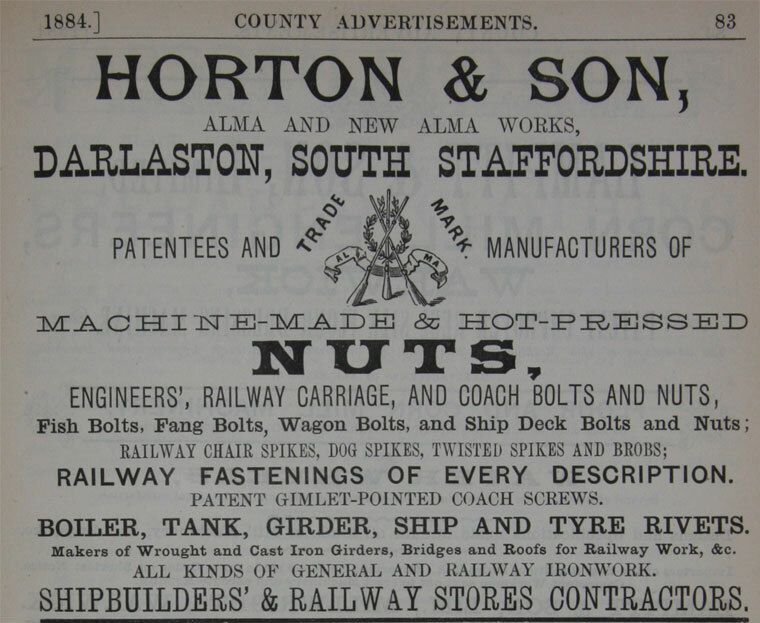 The business was one of the largest in the nut and bolt trade in the United Kingdom. This page was last edited on 2 September 2015, at 10:09.